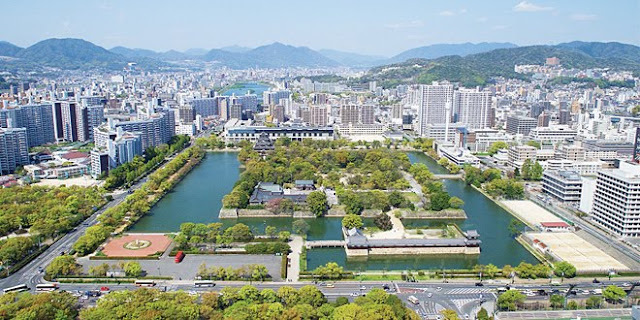 Hiroshima has passed its dark ages and is now a beautiful city worth visiting! What pops in your head when you heard about Hiroshima? Maybe its the catastrophe aftermath of the atomic bomb which caused lots of lost and dark history behind for Japan but now Hiroshima has regained its beauty and is no longer a mess which means it's definitely worth the visit. Japan is far more than only big cities like Tokyo, Osaka there are other beautiful cities in Japan like Hiroshima. Maybe you are still concern about the radiation level caused by the atomic bomb but many research has proven that now the traditional level in Hiroshima is pretty safe and the amount of radioactive radiation isn't enough to harm humans anymore. Now there are more than 1.6 million people living in Hiroshima, so guess its safe enough for us to visit? 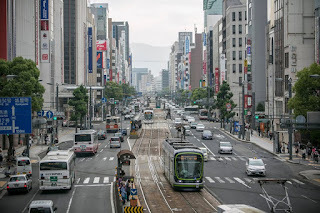 Little did we know that now Hiroshima has slowly but growing into one of the most livable city in the world despite its dark history and underrated tourist destination when someone want to visit Japan. Yet Hiroshima has so much to offer and is now grown into a beautiful city. 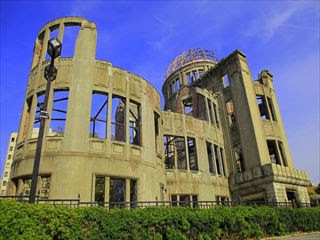 This would most probably be the must visit in Hiroshima, as it marks the peace symbol after the dreadful atomic bombing event. Now its an everlasting peaceful symbol with the dome and ruins left as it is as it was 70 years ago surrounded by a beautiful memorial park. A place that remains as a silent witness of the whole history of Hiroshima, now still standing firm in present days to remain us that war bring us nothing more than misery. 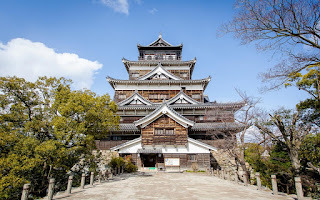 Castle in Japan isn't something to miss out because they're still well persevered and maintained. Hiroshima Castle is no exception, although the present castle has undergone certain constructions after the world war II but it still give you the vibe of the ancient times and the surrounding of the castle isn't something you'd like to miss out too. Lover of okonomiyaki? You better try out okonomiyaki in Hiroshima because it was known to be the best in the whole world. Try out this local delicacy in Okonomimura a theme park which has lots of okonomiyaki stands where you can choose base on your likings. Miyajima or is also known as Itsukushima is a vert small island located near Hiroshima Bay and can be reached in a 10 minute ferry ride. 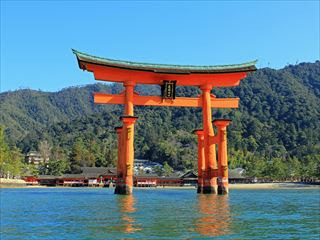 The view is mesmerizingly beautiful and stunning with the famous giant offshore orange Grand Torii Gate that is partly submerged in high tide. The island is quite surrounded by beautiful forests and natures made even more stunning with the ancient shrine buildings. Travel back in time traveling in Hiroden, its a great way to enjoy Hiroshima and its vibe from the olden days. 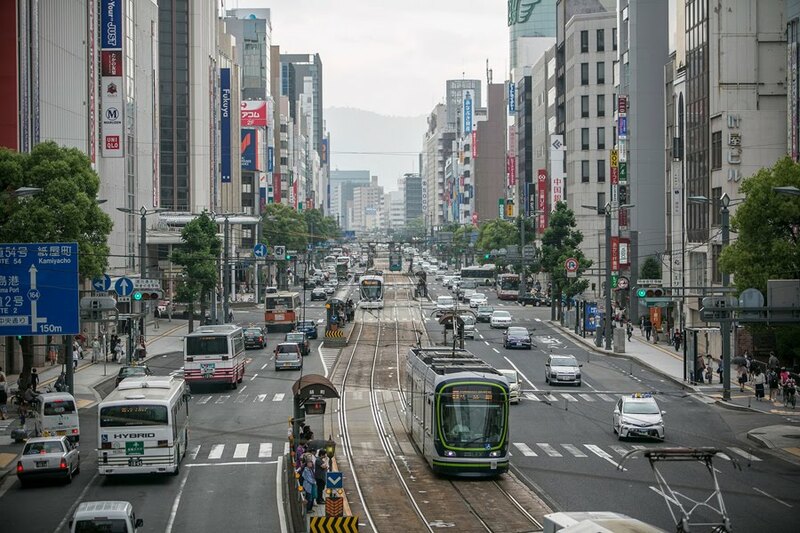 This Moving Streetcar is before used to transport people from one place to another but these days its no longer operating in other cities but here in Hiroshima its still preserved and maintained. You can find your perfect day tour at HISGO and they can even help you out with your itinerary, flights, hotels even JR Passes. Get a well planned holiday trip for your upcoming holiday with this online travel agent service from HISGO. H.I.S. Online Booking will definitely ease your preparation process before and after arriving in Japan. Not only Japan but HISGO caters to tour and travel all across the globe #JelajahiDuniaBersamaHISGO! Lastly thank you Beautynesia and HIS for this opportunity to write a monthly collaboration travel posts relating to Japan. So make sure you catch up with all my Japan related travel posts cause every month I will have new exciting posts to share with you guys! Don't forget to check out Beautynesia for more skincare, beauty or lifestyle related posts too.. See you on my next one.